Have you discovered the Mud kitchen at Wilderness wood! When mud is properly prepared we can make the most delicious treats! I love the crunch of pine needles. You can use a stump as a counter a puddle makes a nice sink…Ovens are everywhere, under bushes, behind trees. Cooking utensils should wherever possible be made from something that would be thrown away or found on the woodland floor. 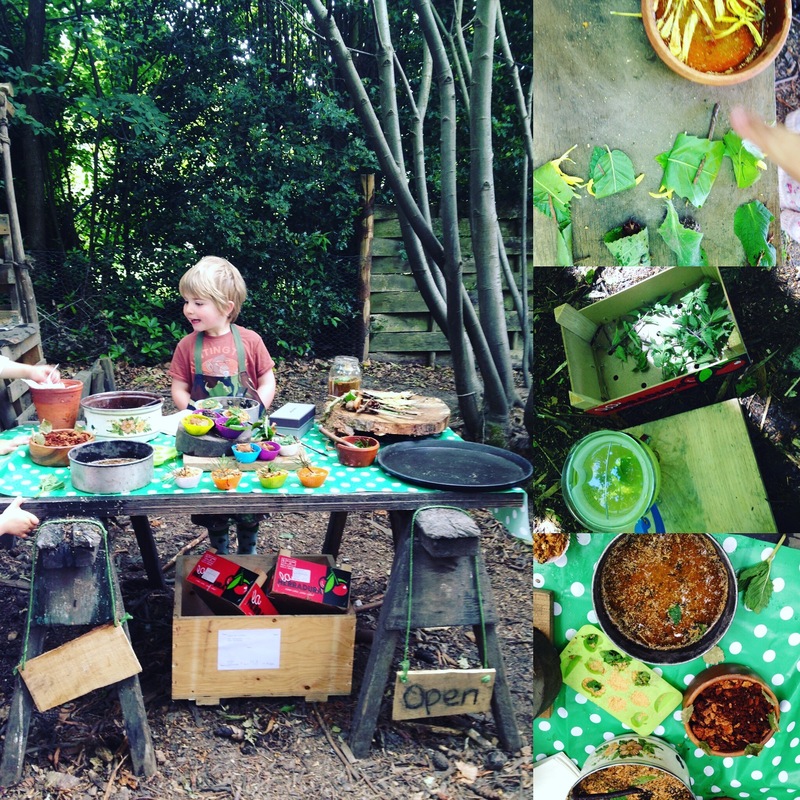 Mud kitchen is not a very exacting art, The time is takes to cook a casserole depends on how long it takes your mummy or daddy to drink a cup of tea! What matters most is that you select the best ingredients available. Select a fine table and serve in style!!! I will provide extra goodies and we will go foraging for fallen pine cones, beech cases, leaves, twigs, and of course mud! Create a café ready to serve, find wood chip for money. Come and buy some truly delicious treats! Upside down pine needle cake! Sushi! pinecone curry!